To provide a better experience in game, advancing the service standard, and providing more interaction & transaction opportunities to players. 《Chrono Tales》N.A. 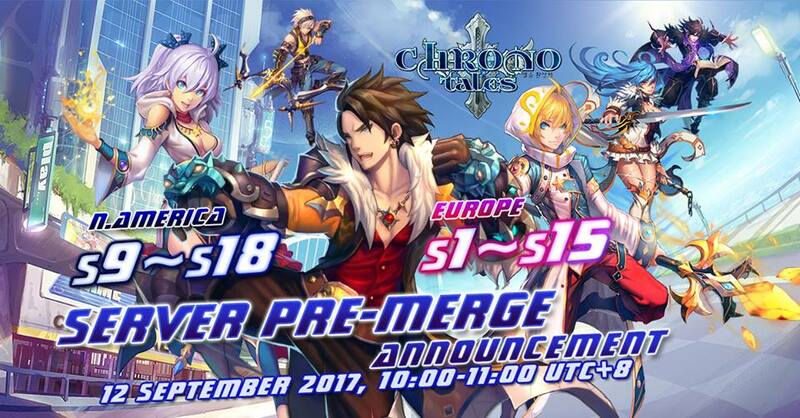 S9~S18,,will progress server Pre-merge on 12th, September, 10:00-11:00 UTC+8. This server merge is divided into 1 group, for the 2 servers’ data interflow. After merging, there’re no changes on login page, players can login the original server to play. 上一篇：Server Pre-Merge Notice 下一篇：Pre-server merge notice! !